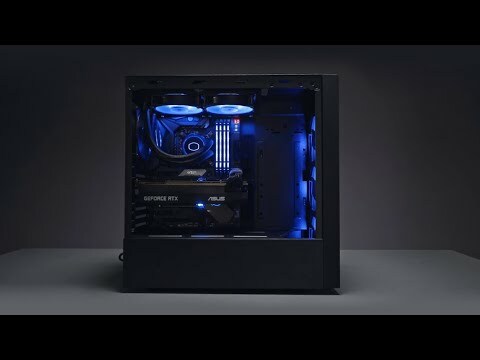 Product Overview The MasterBox NR600 applies optimal cooling and expandability to a minimalistic, subtle design. With thermal capability at the forefront of features, the front panel and top panel are designed to signify airflow performance in its purest form. Functionality is blended to a compact design by maximizing use of internal space and implementing subtle design elements. The MasterBox NR600 features a tempered glass side panel, fastened by thumbscrews on the rear panel, to keep the surface immaculately flush. Features • Minimalistic Mesh Design: Elegant design elements are applied to mesh for optimal thermal performance. • Optimal Thermal Performance: The full mesh front panel and ventilated top panel provide a high potential for thermal performance. • Flush Tempered Glass Side Panel Design: The tempered glass side panel, fastened by thumbscrews on the rear panel, keeps the surface flush and unobstructed. • With/Without ODD Support: Depending on preference, an ODD version of the chassis is available. If an ODD is not preferred, a cleaner appearance and more cooling options on the top and front panels are supported. • Headset Jack: The single 4 pole headset jack features both audio and microphone capabilities simultaneously so that separate jacks are not needed. • Graphics Card Support Up To 410mm: Generous clearance space is provided to support the latest graphics cards. • Cable Management: High quality, longer length rubber grommets and generous clearance behind the motherboard offers ample room for cable management. Please Note *35mm max motherboard component height for Top Radiator.